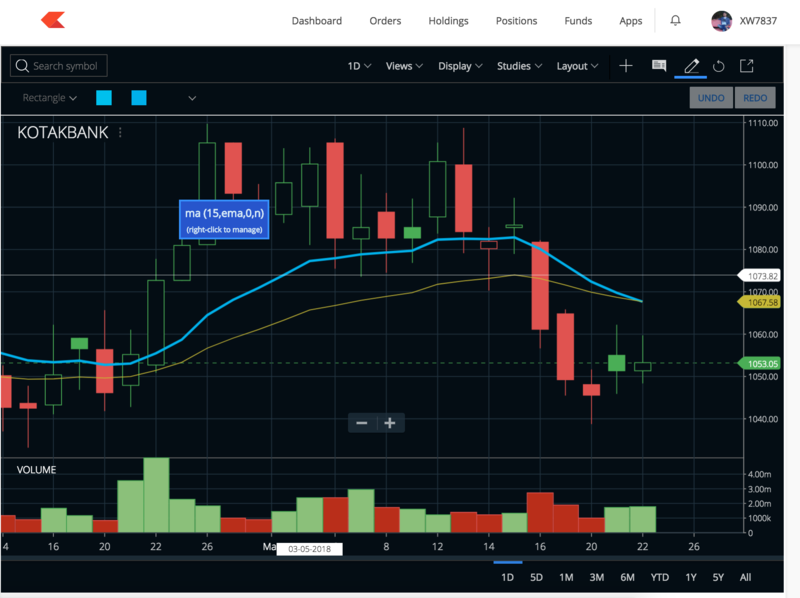 Zerodha kite is showing some incorrect candles. Below is my one of the finding in the screenshot where day open is 1054 and closing at 1052.5 for kotak bank, but Kite chart is showing it as a Green candle. 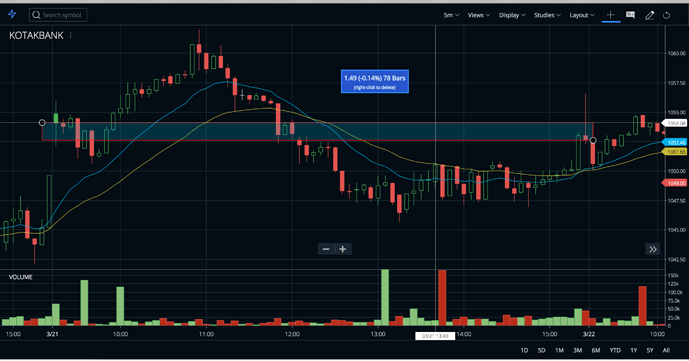 1>If the previous day’s closing value is less than or equal to the closing value for the current day, current day’s candlestick in green. 2>If the previous day’s closing value is higher than the closing value for the current day, current day’s candlestick in red. 2>If the close was higher than the open, you would get a hollow candlestick.